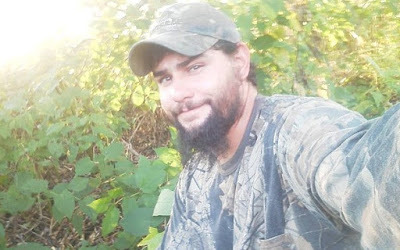 An upstate hunter who fatally shot a neighbor he mistook for a deer while illegally hunting after sunset has been slapped with criminal charges, officials announced Thursday. Thomas Jadlowski, 34, of Sherman was arraigned Thursday on a two-count indictment on manslaughter in the second degree and hunting after legal hours in connection with the Nov. 22 incident that left 43-year-old Rosemary Billquist dead. Jadlowski had surrendered himself to the Chautauqua County Sherriff’s Office.He pleaded not guilty in Chautauqua County Court, where a judge set his bail at $50,000 cash or $100,000 property. Billquist had just taken her labs, Sugar and Stella, out for a walk the day before Thanksgiving when she was struck in the hip by a high-powered pistol fired by Jadlowski just after 5:20 p.m., authorities said. After firing the shot and hearing a scream, Jadlowski called 911. Emergency responders found Billquist unresponsive about 150 yards behind her home and she was rushed to an Erie, Pa., hospital, where she died. “This incident is a tragic reminder of the importance that hunting laws be followed. This incident was completely avoidable,” Chautauqua County District Attorney Patrick Swanson said in a statement Thursday. The charges Jadlowski faces carry a maximum state prison sentence of 15 years. Jadlowski is due back in court Jan. 29.